With an estimated 17.1 million children and adolescents presenting with or having received treatment for a psychiatric disorder including Autism Spectrum Disorder (ASD), Attention Deficit Hyper Activity Disorder (ADHD), and Anxiety, school systems across the nation are being thrust into the front line of defense for early detection and treatment (Child Mind Institute, 2016). Sadly, catastrophes drive reform. Having lost a colleague in the massacre at Sandy Hook Elementary School, I was hopeful that our local, state, and federal governments would mutually agree to programs and policies that promoted student safety and behavioral health services for those impacted by individuals grappling with mental illnesses. After listening to our politicians and media personalities vigorously sharing their perspective on how to address gun violence and behavioral health, I’d like to offer insight as a Board-Certified Behavior Analyst, Licensed Master Social Worker, and a parent well acquainted with our current mental health system. In 2008 our son Hunter was diagnosed with Tourette syndrome. Tourette like ASD is a life-long neuropsychiatric disorder similarly characterized by a variety of impairments impacting social reciprocity, impulse control, and repetitive and stereotypic behaviors (Hyman & Levy, 2013; Gougeon, 2013; Greiert, 2016). Coupled with Obsessive Compulsive Disorder (OCD) and ADHD combined conditions, Tourette presents as a kaleidoscope of symptomologies impacting both body and mind and their battle for control, resulting in disruptive, aberrant, and perplexing behaviors. Watching Hunter descend into mental illness was excruciating. Our perfect little boy became riddled with complex motor and verbal tics which made him a social pariah. Friendships faded, and acceptance of his condition became a chronic fight. I was astonished by how many educators struggled to accommodate and encourage his social, emotional, and academic well-being. School administrators and parents viewed our son as a behavior problem which discouraged friendships and community involvement. He was shunned by his Boy Scout troop, baseball teams, and church groups. Sadly, most treatment programs service the immediacy of the problem only, offering temporary fixes to stabilize the youngster until their next psychiatric episode. 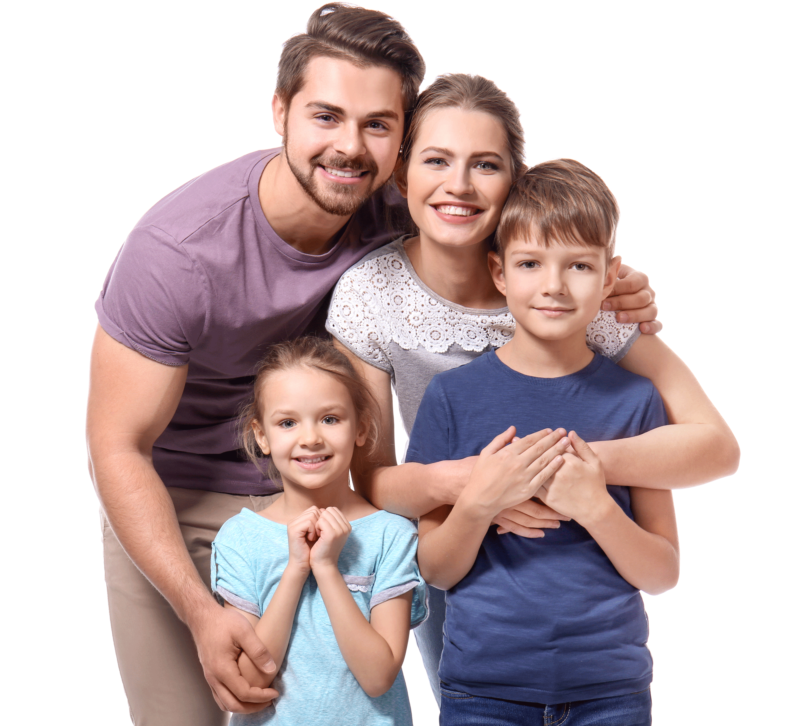 If a family is fortunate to have wealth, or assistance through agencies such as the Department of Children and Families (DCF), the Department of Developmental Services (DDS), or, in some instances, the Department of Mental Health and Addiction Services (DMHAS), they may reap the benefits of comprehensive services. Any shortage – in money, beds, or professionals – send parents on frightening odysseys of insufficient psychiatric services, weak supports, and provisional care as they try to sustain their child’s health and happiness. Once children near adulthood, they become part of a more pandemic problem. Agencies such as DCF pay little attention to youth transitioning out of their agency. Without the due diligence of an adept case worker, and in some cases, litigious parents or guardians, a fragile child will merely exist. On their 18th birthday or in some cases their 21st they are deemed no longer eligible for services under DCF. As a social worker, I have heard parents plead for their son or daughter to remain eligible especially because those on state assistance are better provided for than those with Blue Cross Blue Shield or private insurance. I can’t tell you how many times insurers denied our son extended hospital stays and medication despite his medical history. It is an exception for insurers to extend a hospital stay, especially once acute safety concerns stabilize. Hunter wrote this poem shortly after his discharge from an acute inpatient psychiatric unit. He was 14 years old. Despite numerous appeals to our insurance provider and his treaters, Hunter was released without a concrete post hospitalization plan. Within weeks Hunter was readmitted. His plummeting self-stigma extinguished all hope that he would ever find peace. Upon discharge he vowed he would never seek treatment or medication again. When a child has a long-term psychiatric illness, the likelihood of repeated hospitalizations will only intensify without adequate outpatient psychiatric services to match their needs. Would you deny insulin to a diabetic or chemotherapy to a cancer patient? No. Why then do we ignore brain health? Realizing we were fighting an uphill battle, we opted for home-bound tutoring and counseling services. Hunter responded beautifully. Once stable, he participated in Outward Bound and later enrolled at parochial high school where he became a three-sport athlete and honor student. Hunter aspired to become an astronomer, and dreamed of the Mars space program. He won awards in World History, English, and Geometry. In spite of his successes he struggled to disclose his battle with mental illness. Every night he fought for his sanity, often caught up in OCD rituals that would turn into brief psychotic episodes. We became experts at hanging pictures on walls to cover the many holes from his fists of rage. We never became angry, although we were exhausted. He was incredibly remorseful and ashamed. I would often cry, and ask myself what I did wrong during this lifetime? My husband and I would share with one another how we wished we could change places with him, so that he could be well. It is estimated that Schizophrenia costs the United States $63 billion annually, with $23 billion in excess direct health care costs, including $7 billion in outpatient services, $5 billion in medication, $2.9 billion in inpatient treatment, and $8.0 billion in long-term care (NAMI). Of those that go untreated, approximately 44% receive federal disability payments due to serious mental illness (NAMI). Much of the stagnation associated with universal healthcare systems stems from policymaker’s inability to identify the scope, magnitude, and financial ramifications associated with the problem. Thus, “it may be necessary to incur immediate psychological costs to achieve more important but more distant goals” (as cited in Mechanic et al. 2014, p. 40). School districts are caught in an impossible situation with the meteoric rise in pediatric and adolescent psychiatric presentations. Due to budget constraints from a local and state level, more and more children impacted by behavioral health concerns are often denied eligibility for special education and related services. Many students are not identified simply because they are working at grade level, or because there is a shortage of services due to increased demand. One reason: cost. On average, the annual expenditures to educate a neurotypical child in public school using the combined efforts of federal, state and local government is estimated to be $12,296 per year, (U.S. Department of Education, 2015). These expenditures include $11,001 per student for the operation of schools; $931 for capital outlay including property and building alterations and contracting; and $355 for interest on school debt (U.S. Department of Education, 2015). Since its initial enactment, the federal law under the Individuals with Disabilities Education Act (IDEA) is committed to pay 40% of the average cost per student for every special education student. With public schools serving more than six million disabled learners, local school districts now receive only 20% of the 40% specified by law (NEA, 2015). Compounded by the increase need for psychiatric services, this shortfall has created a burden on local school districts to provide an equal opportunity, free and appropriate public education regardless of disability (NEA, 2015). For those parents fighting for services and even outplacement based on their child’s psychiatric profile: their pursuit is often denied. The average cost of having to outplace a student in the state of Connecticut can range from $30,000 to $100.000 plus annually. Even if it is deemed medically and psychiatrically necessary to place a child residentially, public school districts, DCF, DMHAS, and DDS will challenge the claim often resulting in a due process hearing to determine the justification for placement and who bares fiscal responsibility. My husband and I spent roughly three quarters of a million dollars in order to help Hunter including attorney fees, residential treatment, psychiatric services, and medication not covered by insurance. Like many, we appealed for help only to have our hopes dashed. After Hunter’s death I approached our local politicians and service providers to bring cases like my son’s forward. My pleas fell on deaf ears. I remain cautiously optimistic that our local, state, and federal governments will reform school safety and mental health programming. Many school districts are trying to address the rise in behavioral health presentations by creating specialized therapeutic programing within their districts. However, programs like these must be endorsed and financially supported at a state and local level. 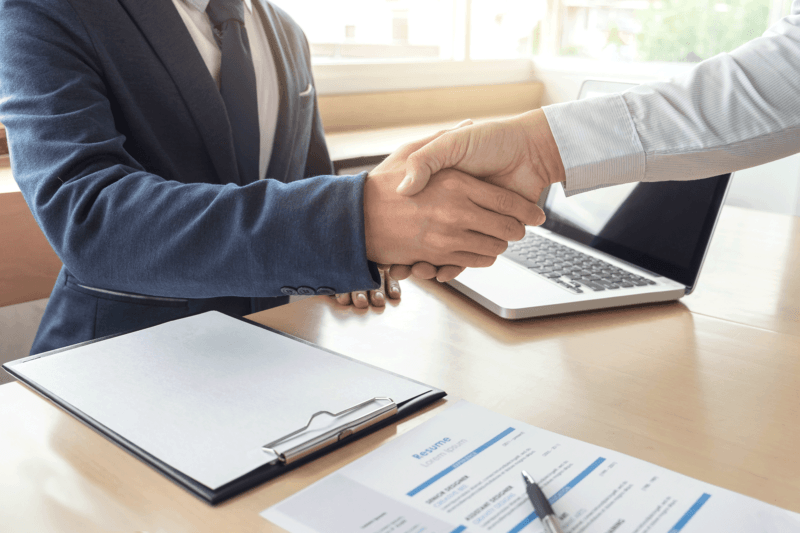 Moreover, they require highly trained clinicians, behavior analysts, and special education teachers with the expertise and stamina necessary for working with this complex profile. Behavioral health is a national tsunami surging into every community, family, race, creed, and gender. Schools, healthcare organizations, and related community groups should serve as conduits for promoting brain-health and wellness. With increased awareness and assistance, we may reduce suicidal ideation and completion. We may encourage best practices for life-long wellness. Mostly, we may offer hope to the afflicted that life can and will get better. Laura Albee, MA, BCBA, LCSW, is a Board-Certified Behavior Analyst and Licensed Master Social Worker. To contact the author, please email albeel1@southernct.edu. 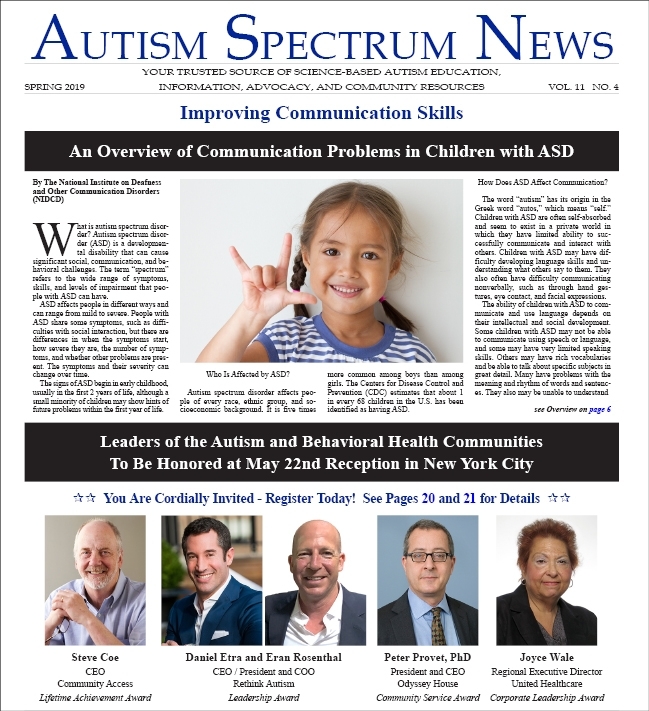 The viewpoints expressed in this article do not reflect the opinion of the Autism Spectrum News Editorial Board or the Publisher, Mental Health News Education, Inc. “Advocacy for Autism” articles are intended as a means for self-advocates, family members and others impacted by Autism Spectrum Disorder to share their stories. Gerhardt, P. (2006). Sexuality instruction and autism spectrum disorders. Autism & Asperger Digest Magazine, 44-46. Gougeon, N. A. (2013). Interest, understanding, and behavior: Conceptualizations of sexuality education for individuals with an autism spectrum disorder using a socially inclusive lens. Thesis Submitted to the Faculty of Graduate and Postdoctoral Studies University of Ottawa. Retrieved on November 10, 2016 from ProQuest. Hyman, S. L., & Levy, S. E. (2013). Autism spectrum disorders. In M. L. Batsha, N.J. Rozien & L.R. Gaetano (Eds. ), Children with Disabilities (7 ed.) Baltimore, MD: Paul H. Brookes Publishing Co. 345-367. Mechanic, D., McAlpine, D. D., & Rochefort, D. A. (2014). Mental Health and Social Policy: Beyond Managed Care (6th Edition). Upper Saddle River, New Jersey: Pearson Education, Inc. 1, 38-65. The National Alliance on Mental Illness (2016). Retrieved on March 7, 2018, from https://www.nami.org. Scharf, J. M., Miller, L. L., Mathews, C. A., & Ben-Shlomo, Y. (2012). Prevalence of Tourette syndrome and chronic tics in the population-based avon longitudinal study of parents and children cohort. Journal of the American Academy of Child & Adolescent Psychiatry. 51(2), 192-201.